After nearly a decade in hibernation since Sam Raimi’s legendary Spider-Man trilogy began, director Marc Webb (“500 Days of Summer” 2009) takes the Spider-Man series to new heights. Based on the Marvel Comic Book character, Webb hatches a new egg, spinning a modern take on superhero movies. “The Amazing Spider-Man” is emotional, visually stunning, humorous, imaginative and action-packed. The “Spidey” storyline is revisited in this reboot, but this time, audiences are exposed to the life leading up to the man behind the mask. Just like a typical teen, Peter Parker (Andrew Garfield, “The Social Network” 2010) is trying to figure out who he is and which path to take in life. Unlike most however, Peter barely knew his parents. We watch as they abandon him at a young age and leave him with his Aunt May (Sally Field) and Uncle Ben (Martin Sheen). It is clear that Peter’s life experiences shape him into the person and super hero that he becomes. This re-imagined version of Spider-Man feels more grown up and charming compared to its predecessor. The emotional depth peppered with wit is what sets this film apart, which may appeal to a wider audience, namely women. While there are still outstanding special effects, they play a smaller role here. Kids will still enjoy this film, it just has an added dimension that wasn’t explored previously, Peter’s tangled life behind the mask. Audiences witness an introverted, intelligent and awkwardly charming skater boy somehow hang on after continual letdowns. We feel Peter’s grief time and time again. After peering into his life for the first half of the film, it’s easier to connect with Peter as a person with special powers rather than a fictional super hero. Whenever Peter and his high school crush Gwen (Emma Stone, “The Help” 2011) share the screen you will undoubtedly find yourself smiling…every time. (Spider-Man’s well-known girlfriend Mary Jane Watson, does not appear in the film). The adorable chemistry, coupled with action, emotion and laugh out loud moments make this film worth two web-shooters. One night, Peter stumbles upon his dad’s old briefcase tucked away in Aunt May and Uncle Ben’s home where he uncovers his father’s most coveted secrets. He researches his father’s former partner, Dr. Curt Connors (Rhys Ifans, “The Five Year Engagement” 2012) and decides to pay him a visit at his high tech laboratory, Oscorp. It is here that he runs into Gwen who interns with Dr. Connors and guides tours around the lab. She assumes he is there for her when he is really trying to crack the code to a top-secret door. The two coincidently bump into each other quite a few times and it is always a humorous scene filled with tongue twists. Once Peter meets Dr. Connors and reveals that he is Richard Parker’s son, he teaches Dr. Connors the algorithm that he’s been trying to solve for years. Little does Peter know, he could have just made the biggest mistake of his life. Garfield owns his role and the supporting cast is just as effective. Garfield’s character is innocent, shy, witty, anxiously nervous, incredibly smart and often at a loss for words. We see his vulnerability and power interchange as fast as he web bungees through the bridges and skyscrapers of New York. He is a refreshing face and a more likable “Spidey” than Tobey Maguire. Stone plays a charismatic, smart cookie with a police officer father (Denis Leary) who will stop at nothing to capture Spider-Man. Garfield and Stone’s spark is much more believable compared to Maguire and Kirsten Dunst’s chemistry in the trilogy. No wonder they are currently an item. Ifans plays the congenial turned creepy Dr. Connors very well. Sheen and Field play their caring yet stern parental roles effortlessly. They, too, are an example of the film’s excellent casting. Besides the lengthy run time of 2 hours and 16 minutes, my other qualm would be the cheesy role of the villainous lizard that was a bit undeveloped. Bottom Line? Garfield’s performance and his chemistry with Stone is reason enough to see this film. The supporting cast is also spot on. While many deem superhero movies to be aimed at guys, this reboot will entertain all audiences. 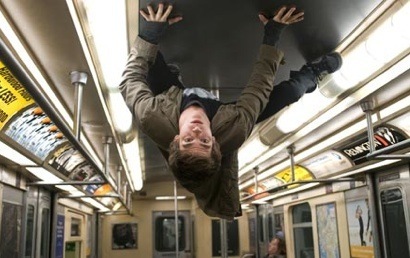 “The Amazing Spider-Man” offers charm, heart, humor, special effects and plenty of action.